Inner Cyclone, the debut album by Mindsphere (Ali Akgün), was originally released in 2007 by the now defunct Metapsychic Records. It became an instant hit here on Ektoplazm despite problems with the mastering. 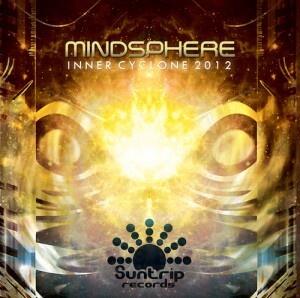 Because this full power Goa trance stormer deserved better, Suntrip Records decided to re-release the album in higher quality with professional mastering by Tim Schuldt at 4CN Studios as the second disc of Mindsphere’s newest album, Patience For Heaven, which was released in October 2012. Now it returns to Ektoplazm as a free download! The aim of Inner Cyclone is to propel the listener and dancer into the middle of a whirling vortex of highly sensitive feelings and authentic emotions directly inspired by Ali’s experiences in life. Old school Goa trance fans are certain to find themselves touched and bewitched by the diverse oriental tonalities of this dynamic and melodic album. Take a subliminal trip to “mythic Anatolia” with this revitalized creation! MP3 Download | FLAC Download | WAV Download · Download count: 31,205. This album is a gem, truly spiritual and it marks the end of a story.. but hopefully the beginning of a new chapter for this promising artist. Favourite tracks so far: To infinity, Operation side and Inner cyclone. Complex, melodic, original and deep. Ive listen Psytrance since 1996, and it’s one of my favorite all time !!! Very good – loved it – thank you. Beautifull !! Goa vibes !! Very good album. This is powerful!!! Thanks. this is master !! very sensitive feelings , ,its now one of my favourite album !! keep on spirit man..
if your one for the goa feel, this one has your name on it. classic goa vibes and structures with a definite arabic melody structure, arrangement, vibe and atmosphere. With a very full driving sound this is bound to bring some nostalgic feelings and movement on the dancefloors around the world. Nicely mastered album with all tracks having a distinct quality and feel to them ending in ‘Fusion’ my favourite track of the album that has some very subtle yet captivating tones and entheogenic flow. hell yea … some good old skool goatrance music .. it’s a very refreshing change .. really love the tracks .. we need more .. This album really captures some of the magic that is old-school goatrance. A refreshing trip down memory lane that utilizes a lot of clichés but I love every single one of them. Excellent stuff! Very good old school melodies and feelings inside.It s full of powerfull melancholy,spirit and eastern feelings !! i wish to meet u someday..Great work !! Hats down, gentlemen. Very dynamic and colorful album, something like Dimension 5 with oriental influences. Respect! great album indeed ! this is somethin we all was waiting for so long ! me again , just wanted to say .. THIS IS TRU GOA ! I’m with you on that, stunning album and very talented producer. insan gurur duyuyo harbiden yorumlari okuyunca. albüm cok güzel. sonunda oldscholl goa ya el atmıs bir turk dinlemek icimizi rahatlatti. bence cok fena şeyler olucak,cunku oldschool goa tam bize gore.bu cografyanin insanlarinin bu muzige cok sey katicagina inaniyorum. This is one of, if not THE greatest goa/psy-trance albums I have ever heard. Ali AKGÜN kardeşime başarılar dilerim.Bu müzik tarzını tüm dünya duymalı bence şarkılar çok sanrılı ve tüm melodileri harika şahsen çok begendim.başarılarının devamını diliyorum.Ayrıca burdan Travma’ya (Enver Çolakoğluna)’da selamlar. Great album, it is one of my favourites! The Inner Cyclone track is amazing. Waiting for a new releases!! Where can I download the album because link is not working ? A true piece of art, very Euphoric, it reminds me of a cosmical experience that i had in front of the beach at a night full of stars where you could have a transparent look through the milky way. For a reason, he’s (Ali) very melancholic, it’s sad stories/melodies that really make one love music so deeply. To Infinity is something that overrides my imagination, it’s a track pure of instability on the beginning, it’s like a Lift Of with a space ship, where you have problems lifting from the atmosphere, but then when you enter the space, it’s this feeling of getting boosted to 100x faster then the speed of light, amazing, just truly amazing, after some atmospheric moments on minute 5, which calms down your inner beast, like you begin to see clearer, a very tribal bassline, and wonderful, pads, you’ll see the reward, a melody comes from a very deep galaxy giving a message straight in your heart. What this artist has done to me with this track broke any rule on this planet about feelings, i never really felt this way before. by far, one of top5 releases of any kind of intelligent music released on this millennium, he gives me high hopes that we’re not f**ckin forgetting what music really means. Great album! Thank you very much for sharing! definitly a must have album. ‘Fusion’ is so peaceful. Thank you. Man, (new school) goa sounds so damn good. This is what I call music! What everyone here said. It truly BLOWS my mind. Mindrama on acid, the whole world oscilates…. a must have. I hope his 2nd cd is even better (impossible) and that his ego doesnt get too big because of this first succes!! Oh My My My. this is soo legit. Im in love wit the goa influence refreshed and still ripping. Track 1 – 8 are all wonderful pieces of creation. 3 years have passed, and i still cant get enough from this phenomena, what this artists wakes up in me is truly amazing. Thank you Mindsphere for the inter-galactic express line, i enjoyed the ride from the milky way to vega. I just found this amazing album from my friend and what a feeling inside the album ! this really tells a story.Thank you Mindshpere. This is what the real Goa Trance is all about – spirituallity, energy and journey. It’s been a long time since I’ve heard something which can be considered as classic within a few years from now. Don’t waste this album just by putting it as another online album. PRINT IT!!! This album is pure classic ! but i don’t think second album taste like this. Thanks to Mindsphere and Suntrip Records I am happy to push this back to the top of the list! Read the text above to find out why. Mindsphere’s Inner Cyclone was one of Ektoplazm’s early hits; be sure to download it again and enjoy it as it was intended! Always wanted a re-master of this. Downloading now, super excited! Listening to this one… again. And it is SO much better!! Actually, I liked the album the first time I heard it, but the overall sound left a lot to be desired, but who am I to complain, since it was free? Thanks for thinking about us and re-mastering this work of art into something really special. Peace!! Thank you Mindsphere. Thank you Suntrip. Thank you Ektoplazm. Beautiful release, thanks for the album! Orijinali kadar guzel degil begenmedim. Adeta kopya resimler gibi olmus; orijinaline benziyor ama o sanatsal hava yok. I see dancing chakras/living beings of all ages, from every past/present/future generation, all dancing to a universal beat. Different synth melodies would represent the voices and spirit of certain age groups or demographic, depending on the timbre pitch of them. The rhythm represented the core foundation of the beat in which all life revolves around. 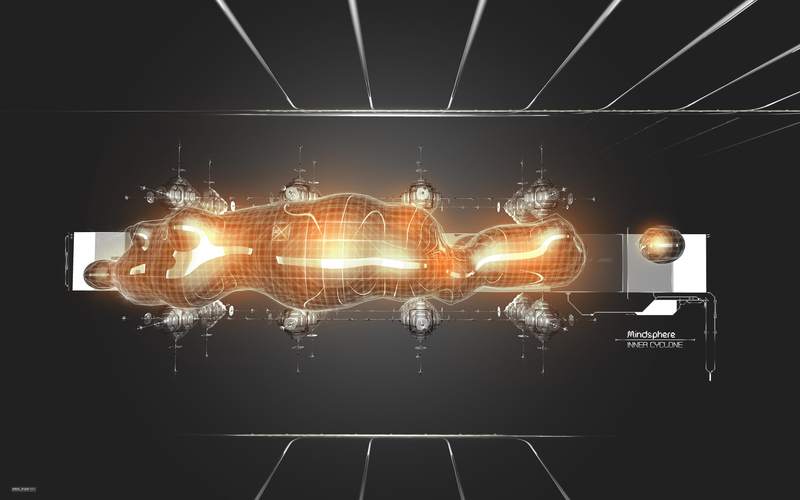 The ambient section of the music represented the very fabric, or ether of space. If the music is metaphorically a stage or musical concert, than the ambient part represents the ether in which said music concert is floating in. solche Dinge, mit denen man sein Zuhause von außen verschönern kann. beste Schutz gegen die Ansteckungsgefahr im Büro. Bewegung und Sport sollten auch bei Hypertonikern zum alltäglichen Leben gehören. macht wohl sinn, schon alleine wegen der kurz-, mittel- und langfristigen energiespeicher. weißes Brot, weniger Nudeln und polierten Reis.